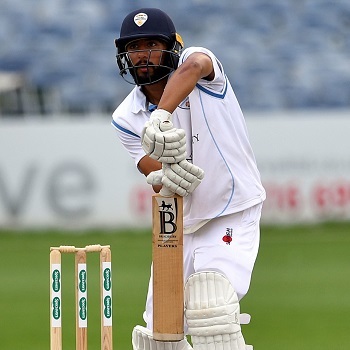 Anuj Dal’s progression from trialist to first-team player with a first professional deal with Derbyshire is optimised by his hard work and determination. The all-rounder was released by Nottinghamshire at the end of 2017 after progressing through their age group set-up. Far from being deterred from the professional game, Dal worked harder than ever before to earn a place on a first-class cricket field. 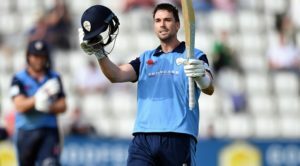 He contacted Head of Development Mal Loye and was offered the opportunity to play in Derbyshire’s Second XI this summer. With gritty determination and a lightning-quick ability between the wickets and in the outfield, Dal quickly impressed as an all-round performer. 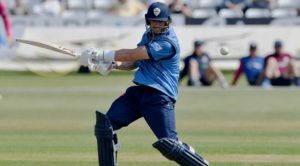 His greyhound-like fielding and five-fer with the ball in a Second XI Twenty20 fixture at The 3aaa County Ground caught the eye of Specialist Twenty20 Coach, John Wright, leading to a first call-up to the senior squad. 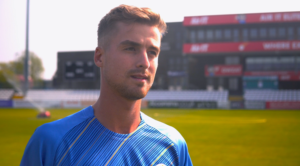 He made his professional debut against Worcestershire and went on to feature in nine Vitality Blast matches, with a top-score of 35 and a strike rate of 122. Dal went on to play in four Specsavers County Championship matches towards the end of the season and now looks forward to a productive winter and a first full season with the Club.